July 12 - The World Baseball Softball Confederation (WBSC) today announced that the hosting rights of the XXIX U-18 Baseball World Cup® 2019 have been awarded to the Korea Baseball Softball Association (KBSA) in collaboration with Gijang County, Busan. With baseball's position as the biggest spectator sport in the Republic of Korea, the bid to host the U-18 Baseball World Cup -- one of the top youth World Championships in all of sports -- received the official backing of the nation's Ministry of Strategy and Finance, and Ministry of Culture, Sports and Tourism. 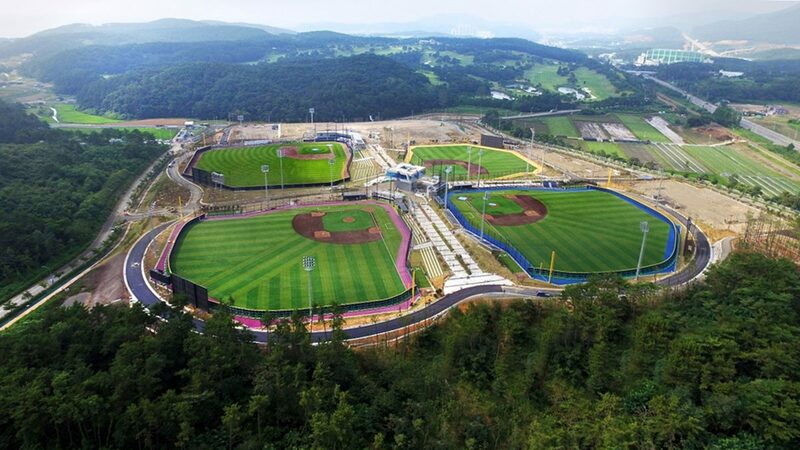 Gijang-Hyundai Dream Ballpark, the largest youth baseball facility in Korea, will be the stage of the U-18 Baseball World Cup 2019. Built in time to host the Women's Baseball World Cup 2016, the modern multi-field facility features four fan-friendly competitions venues that are all within a three-minute walking distance of each other. The main venue has a seating capacity of 1,295. WBSC President Riccardo Fraccari said: "WBSC is thrilled to have the U-18 Baseball World Cup 2019 go to a major baseball centre and host like Gijang, Korea. I am confident that KBSA and Gijang will provide the best stage possible for hosting baseball's next generation of stars, delivering worldwide coverage for our sport and raising the anticipation of the 2019 Premier12 and Tokyo 2020 Olympic Games, which will be some of the biggest international baseball events in history." KBSA President Euong-yong Kim said: "KBSA is excited to host the XXIX WBSC U-18 Baseball World Cup. We will do our best to provide the ideal setting for the world's best young baseball players, who will go on to become our sport's future leaders. In addition, as the defending Olympic and Premier12 champions, it is essential to drive global interest while spotlighting Korean and Asian baseball on the road to the Tokyo 2020 Olympics and beyond." Gijang-gun Mayor Gyu-Seok O said: "I believe that Gijang will become the baseball capital of Korea through this WBSC Baseball World Cup. We will provide our best support for a successful event in 2019, and we will also sustain the exciting growth and development of baseball in Korea by hosting this honourable event." The U-18 Baseball World Cups, along with its continental qualifiers, have consistently featured players who have gone on to become some of the biggest names in the sport, such as Japan's Yu Darvish and Shohei Ohtani; Korea's Shin-soo Choo; Cuba's Yasiel Puig and Aroldis Chapman; and USA's Clayton Kershaw, Bryce Harper, Manny Machado and Buster Posey.